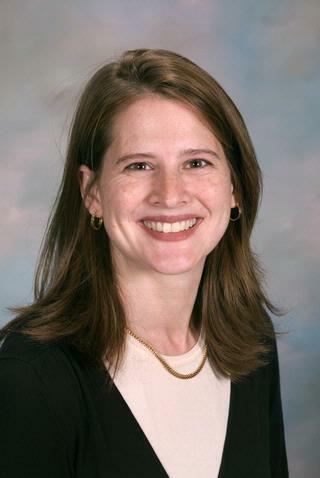 Dr. Weber is an Assistant Professor in the Department of Neurology at the University of Rochester. Her clinical practice consists of neuropsychological assessment of adults with a variety of neurological and psychological disorders. Her clinical interests are in the differential diagnosis of dementia and the cognitive sequelae of stroke, MS and traumatic brain injury. Her research interests are in the effect of hormonal exposures on cognition and mood, with a particular focus on pregnancy and the menopausal transition. Dr. Weber received her Ph.D. from the University at Albany, State University of New York. She completed her internship in clinical neuropsychology at Rush-Presbyterian-St. Luke's Medical Center and her post-doctoral fellowship in neuropsychology and experimental therapeutics at the University of Rochester. Dr. Weber's research program is focused on how hormonal changes during critical periods in the female reproductive life cycle might increase the risk of cognitive decline and Alzheimer's disease in later life. Her current studies are examining the natural history of cognitive and affective changes in the menopausal transition. Her work is supported by NIH/NIA. Weber MT, Delaney KR, Snow D. "Integrating the 2013 Psychiatric Mental Health NP Competencies Into Educational Programs: Where Are We Now?" Archives of psychiatric nursing.. 2016 Jun 0; 30(3):425-31. Epub 2015 Dec 17. Krishna S, Lin Z, de La Serre CB, Wagner JJ, Harn DH, Pepples LM, Djani DM, Weber MT, Srivastava L, Filipov NM. "Time-dependent behavioral, neurochemical, and metabolic dysregulation in female C57BL/6 mice caused by chronic high-fat diet intake." Physiology & behavior.. 2016 Apr 1; 157:196-208. Epub 2016 Feb 04. Johnson VE, Stewart W, Weber MT, Cullen DK, Siman R, Smith DH. "SNTF immunostaining reveals previously undetected axonal pathology in traumatic brain injury." Acta neuropathologica.. 2016 Jan 0; 131(1):115-35. Epub 2015 Nov 20.